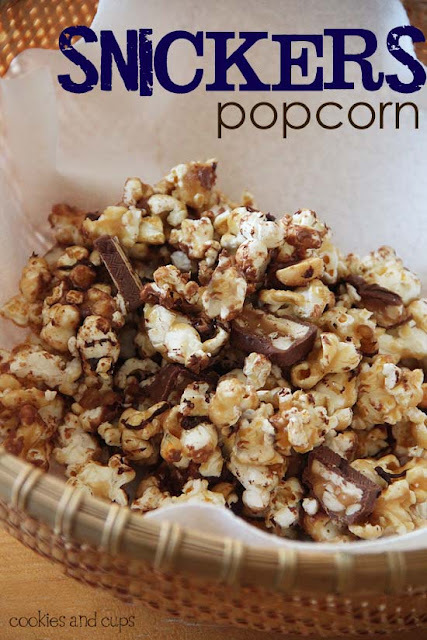 Snickers popcorn! Yes please and thank you! I can't imagine what isn't to love about this. You can get the recipe over at Cookies & Cups. Are you kidding me?!?!? Everything about this recipe tells me I should stay far, far away from it. But. Snickers! Popcorn! It's got to be a match made in heaven.